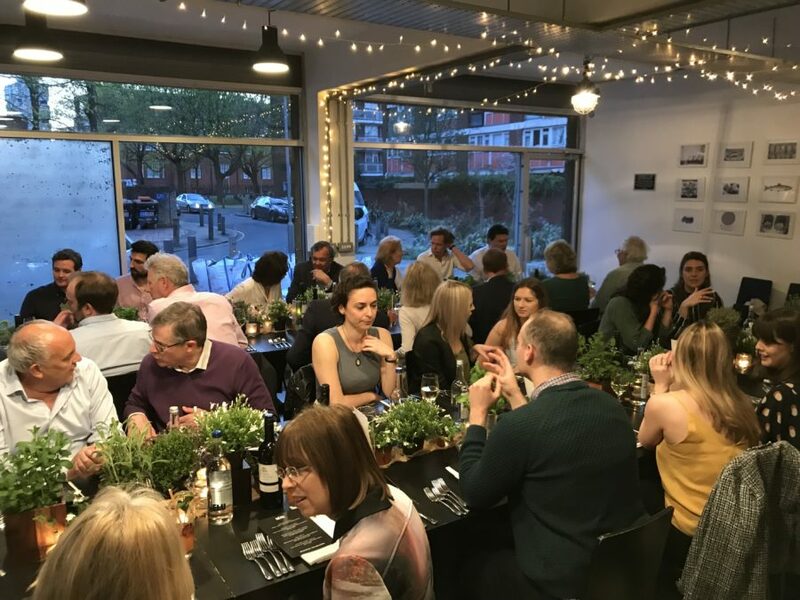 An overview of how our fabulous Spring Supper Club Event went! We’re excited to share our amazing feedback and photos from our Spring Supper Club! Spring Supper Club… The Result! 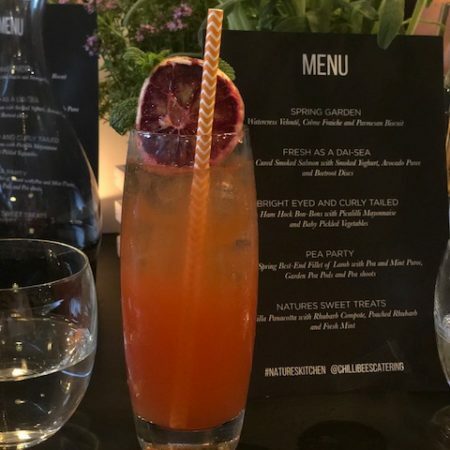 Guests were welcomed into a Spring smelling haven with a “Blooming Marvellous” Blood Orange Cocktail garnished with a sprig of Mint and Orange slice. They were then left to mingle and take in the beautiful setting and aromas of fresh plants and herbs arranged on the tables around them. 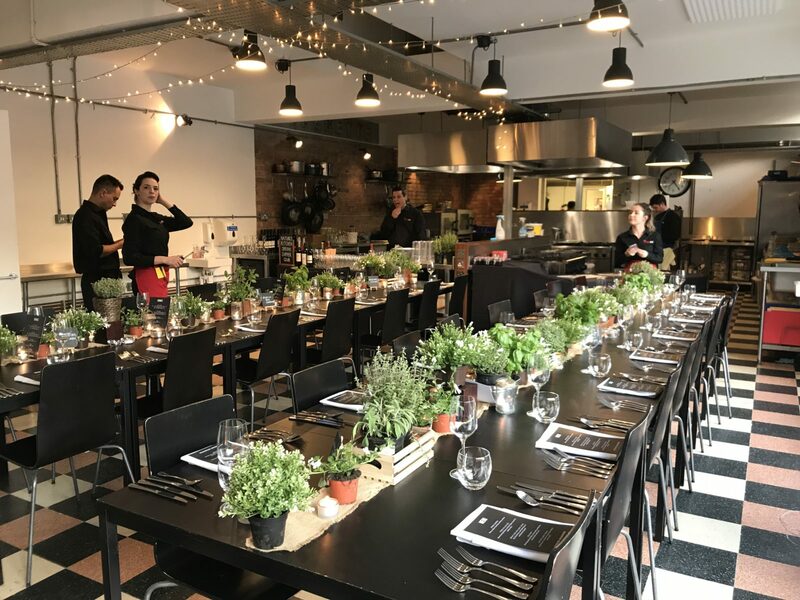 Guests were then called to their tables for their First Course of the evening and were presented with a Watercress Veloute served in a mini bucket with edible flowers and a Parmesan Biscuit. Not forgetting the drinks, guests sipped happily on an array of different wines including the two house wines; Bergerie De La Bastide Blanc and Rouge, Languedoc. 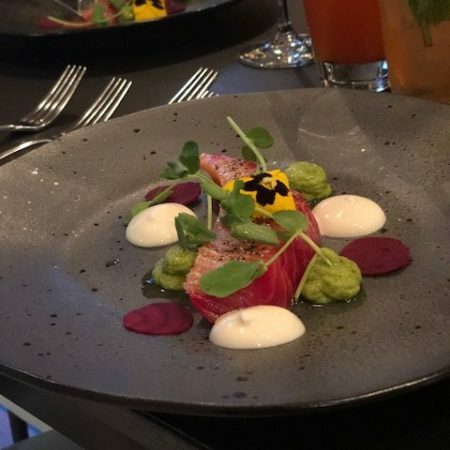 To follow, a Beetroot Cured Smoked Salmon served with a Fresh Avocado Puree and Smoked Yoghurt on a bed of thinly sliced Beetroot Discs, was served by our cheery waitressing staff. This dish was a firm favourite with guests offering an array of smokey and earthy flavours. 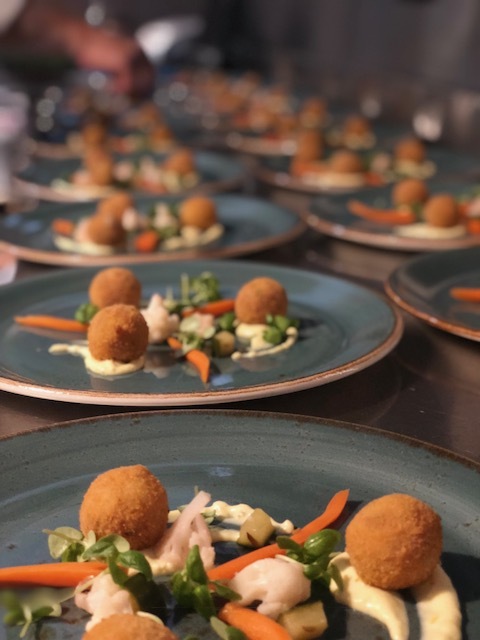 The “Bright Eyed and Curly Tailed” course was served; Heavenly Ham Hock Balls bursting with flavour, served with a Piccalilli Mayonnaise and Pickled Seasonal Vegetables. The Main course was a Pea Party Showstopper, we served Rare Fillet of Lamb with a Pea and Mint puree, garnished with Garden Pea Pods and Pea Shoots. As guests started to wind down for the evening, our fifth and final course was served a sweet treat of Vanilla Pannacotta with a Tangy Rhubarb Compote and Fresh Mint. Overall, the two nights were so much fun with plenty of laughter and wine to go along with the amazing food!